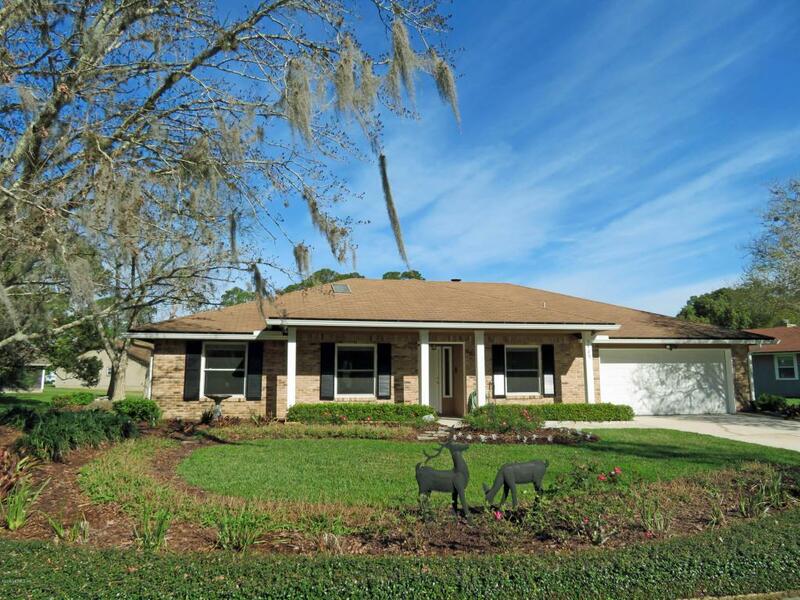 Welcome home to this wonderful well maintained 3 bedroom, 2 bath pool home on a premium .39 acre lakefront lot in Rivergate. Interior features include engineered wood floors, 20" ceramic tile, French doors, ceiling fans, fireplace with mantle, inside laundry, custom blinds, security system, intercom system, inside laundry, sky lights, & wired for surround sound. Kitchen has raised panel white cabinets with stainless hardware, & under cabinet lighting, tile counter tops, pantry, eat in nook, ceramic tile, sink with sprayer feature, tile backsplash, dishwasher, refrigerator, smooth top range, & built in microwave. Private owners suite has slider to lanai, ceiling fan, vaulted ceiling, his & her walk in closet, tiled shower, glass block window, his & her vanity,ceramic tile, & linen closet. Exterior features include brick & recently painted T 1-11 siding exterior, 2 car garage with automatic opener, & storage shelves, screened covered lanai with sparkling in-ground pool & spa, gutters, & front porch at entry. Outstanding Mandarin location makes this a great place to call home.